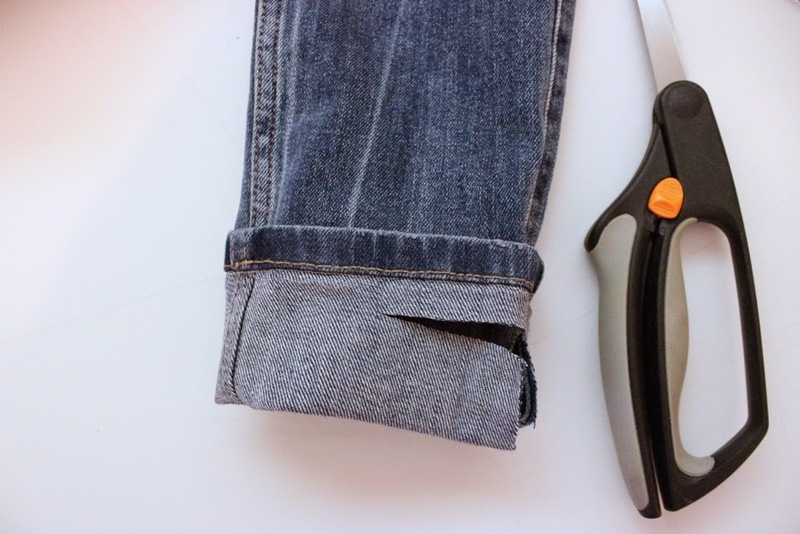 How to professionally hem your jeans (in about 15 minutes)! 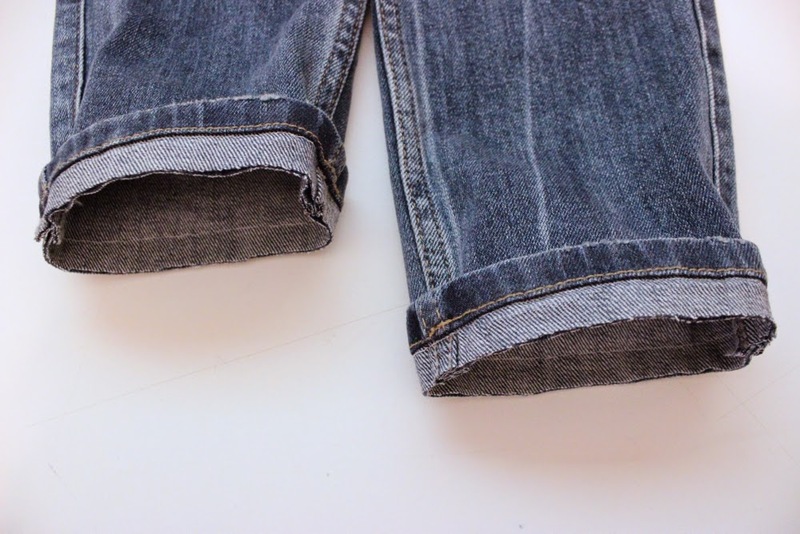 | Anna Allen Clothing Blog: How to professionally hem your jeans (in about 15 minutes)! 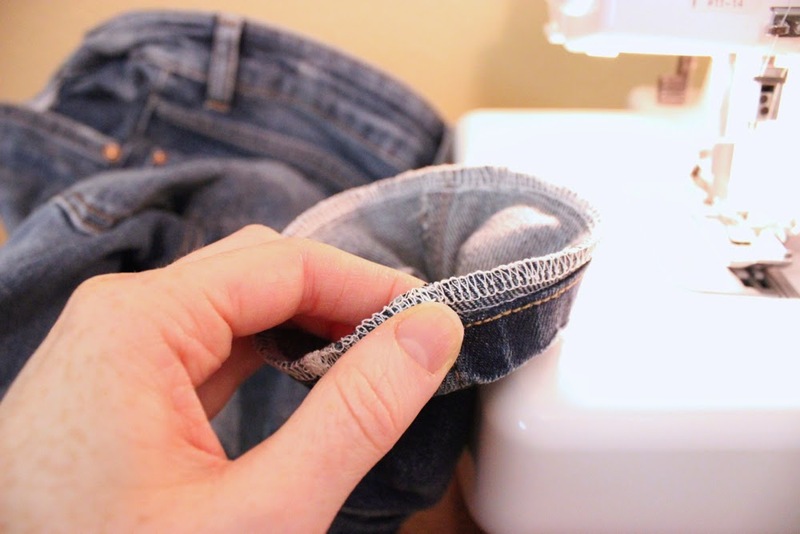 How to professionally hem your jeans (in about 15 minutes)! I am 5’5” and although that may be considered an average height, I’ve found through the years that most jean lengths end up being too long on me. I really hate always having to roll up my jeans, or worse, being forced to let them scrunch up around my ankles. So I have experimented with different ways to hem my jeans and have finally found an easy way that doesn’t look like my jeans have been hemmed. And it hardly takes any time, which means my jeans won't be sitting on a mending pile for months before I get around to hemming them. It really only takes about 15 minutes! 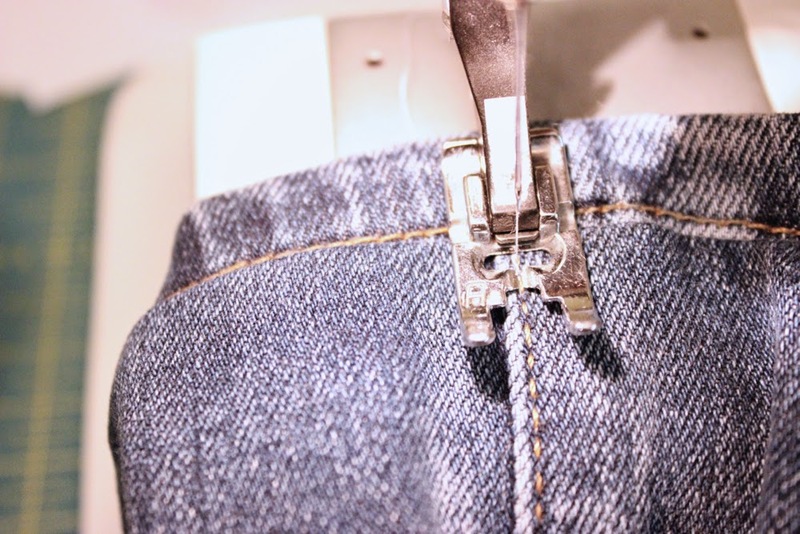 Start by trying on your jeans and folding the hem up to where you want them. Place a safety-pin or get someone to measure how much you folded. 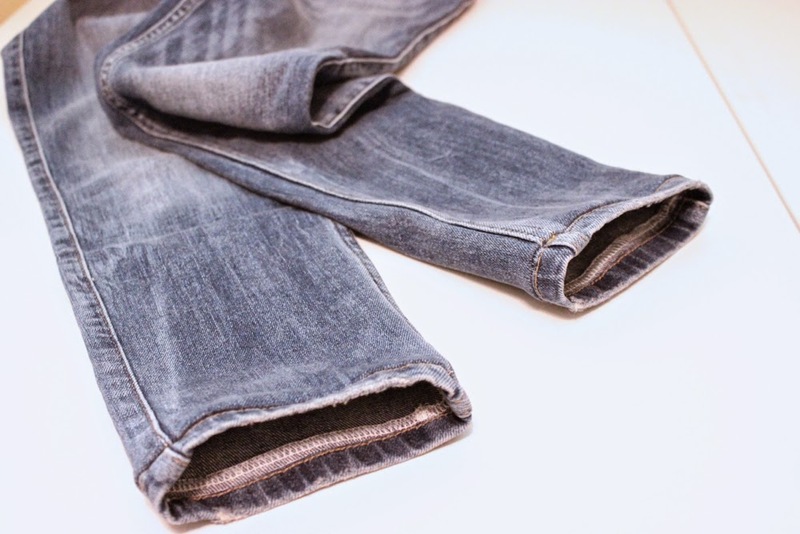 Now remove the jeans and refold them so they measure half the length you folded when trying them on. For instance, let’s say you folded 4” when trying them on to reach the perfect length, now you should pin them at 2”. Pin the fold at the side seams and then at each center. Stitch just below the stitching line of the original hem. 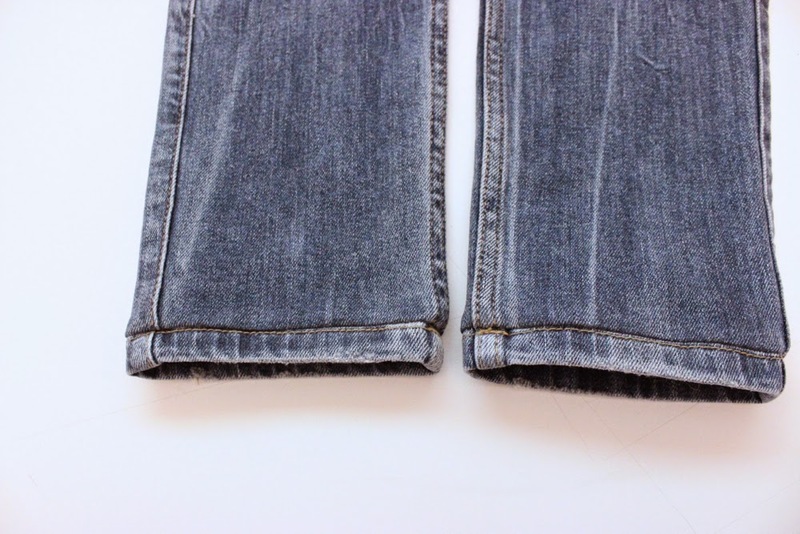 Basically you want to get as close to the original hem as possible, but don’t stitch on top of the original hem. 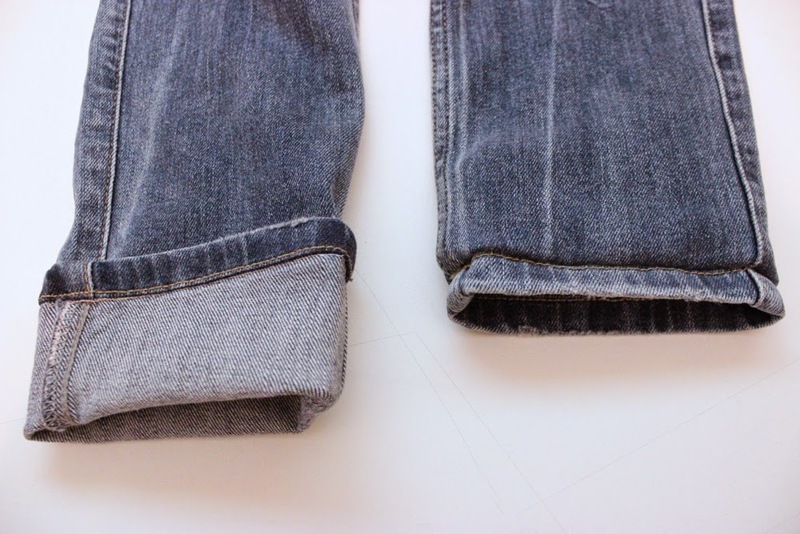 Also, you will want to slightly stretch the original hem between each side seam, as I’ve found with tapered jeans the original hemline may be slightly smaller around. 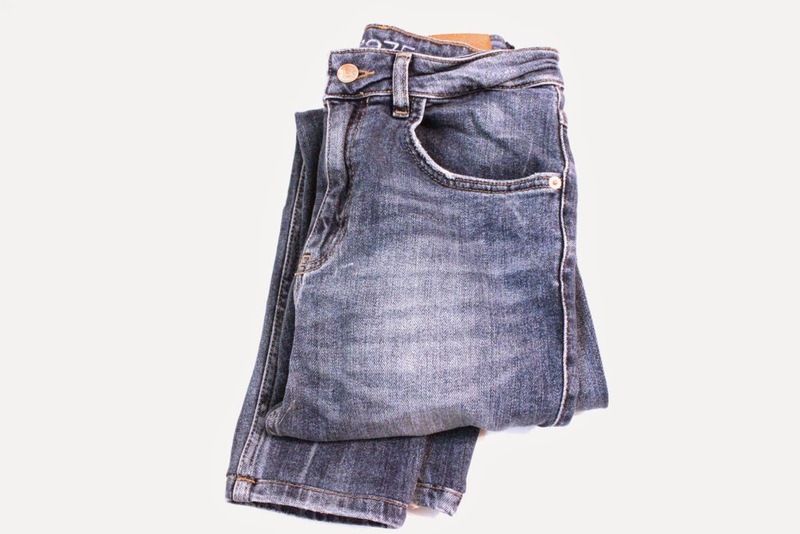 Now turn the fold towards the inside of the jeans and try them on to make sure you like the length. If not, remove the stitching and adjust until it’s at the place you want it to be. 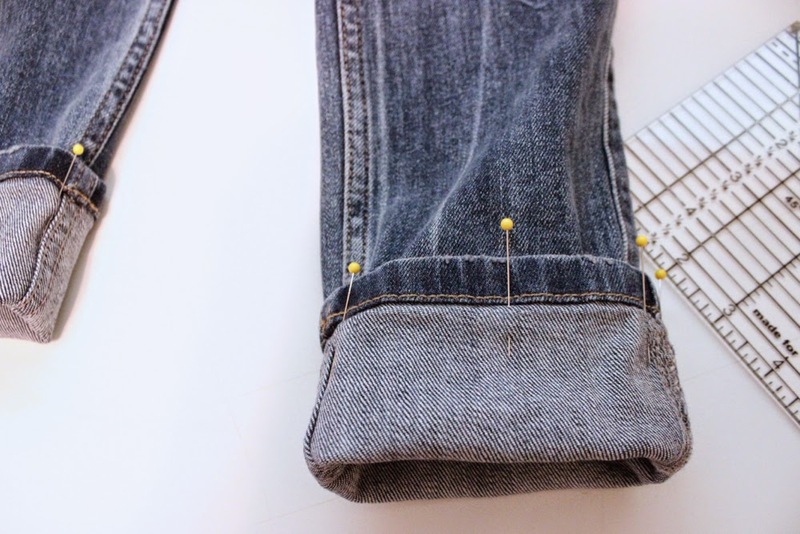 This part is really worth a little extra time, because you won’t be able to adjust the length once you finish hemming. Now cut off the extra fabric to about ¼” (I cut it to ½” but then found it rather difficult to serge over the thick side seams). Finish the raw edge with your serger or if you have a basic sewing machine, just zig-zag over the edge so it won’t ravel when you wash it. Turn the seam inside pointing up and press with a hot iron. I like to sew a few stitches up and down right on top of the side seams on either side. This way after washing the jeans, they really stay put and when you wear them the hem won’t flip out accidentally. That’s it! It’s really that simple. And no one will notice you hemmed your jeans! I hope you enjoyed my little tutorial! Thanks so much for posting this -- I'm just under 5'5 and finding pants that fit lengthwise is tough! I'll definitely be using this tutorial on my jeans. Fantastic, sometimes it takes someone very clever to make things easy for the rest of us! 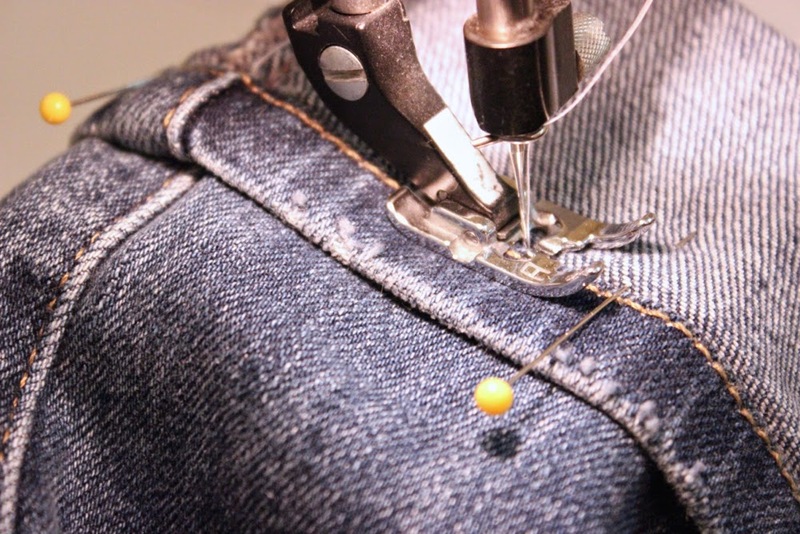 I always wondered about hemming jeans. I don't have a sewing machine, but I should pass this along to my mom. I'm the same height, and my solution has been to buy cropped jeans. Thankfully there are more inseam length options these days, but it can still be tricky to find a length that isn't awkward.